Manufacturing firms depend on a large team and a wide assortment of skill sets and levels to keep everything running at full speed, and down time is lost money, so every member of the production team has a vital role to play. When your manufacturing operation needs to add staff, working with the manufacturing recruiters at The Lawler Group will help ensure that you get to interview top talent as efficiently as possible, so your operation doesn’t miss a beat. Assemblers – Whether you’re looking for clean room assemblers, electrical or mechanical assemblers, or assemblers for wood or jewelry products, our manufacturing recruiters will ensure that you meet with people who have vetted references and qualifications, as well as the experience and any specialized training or certification you may need. Machinists – Qualified machinists are in high demand, and finding the best can take a deep-rooted network of contacts. 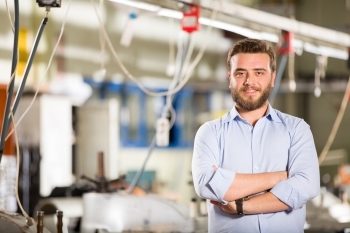 If you’re in need of a conventional or CNC machinist, lathe operator, millwright, Swiss machinist, or another specialized type of machine operator, our experienced manufacturing recruiters know where to look for your ideal candidates. Inspectors – We find and place experienced and qualified manufacturing inspectors across many industries, including automotive and aerospace, electrical and mechanical components, electronics, sheet metal parts, and many more. Production Supervisors & Managers – Your production supervisors and managers set the tone for their entire team, so you need to know that you’re hiring, not only right training, skill set, and experience, but also the right person for your shop. You need someone who can pull their team together to get quality work done on time and on budget, right from the start. When you’re hiring at this level, be sure you’re clear with your manufacturing recruiter what type of personality and temperament will fit in with your team, in addition to your technical requirements. Manufacturing Engineers – Whether your manufacturing engineers are programming CNC machines, developing and fine-tuning processes, or working on design specifications as part of your Research & Development team, their expertise and successful performance is a critical part of your operations. The manufacturing recruiters at The Lawler Group are part of the international MRI Network and conduct a search regionally, nationally, or globally, if needed, to locate the right engineer for your niche. The manufacturing recruiters at The Lawler Group help Milwaukee companies find the best candidates for their open positions, and help those companies prepare and negotiate offers to the best candidates, for a smooth hiring process end-to-end. We build long-term relationships with our client companies and with the people we place, so after decades of experience in the Milwaukee market, we’ve got a substantial network of contacts to work when we need to find even the most specialized employee. Contact us to learn how working with The Lawler Group can help your manufacturing firm keep running at peak efficiency with the best and most qualified job candidates for every manufacturing specialty.